Looking to upgrade to a new SUV? Our Kia Sorento lease deals offer great savings opportunities on this popular seven-seater. Car experts like Edmunds agree it’s a fantastic option for families, saying, “With so many potential variations, there’s a configuration of the Sorento for most families.” Whether you’re venturing out on a road trip or running errands around Los Angeles, the new Sorento is a fit companion. Check out our specials below, then contact us to learn more about Kia Sorento lease prices. Why Lease a Kia Sorento at Kia Cerritos? 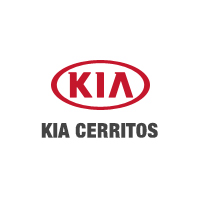 When you choose Kia Cerritos near Orange County, you can expect a transparent leasing process, as well as friendly guidance from our finance department. If you’re ready to take advantage of our Kia Sorento lease deals, check out our car shopping tips and then get pre-approved online! While you’re here, check out our guide to the differences between leasing and financing.